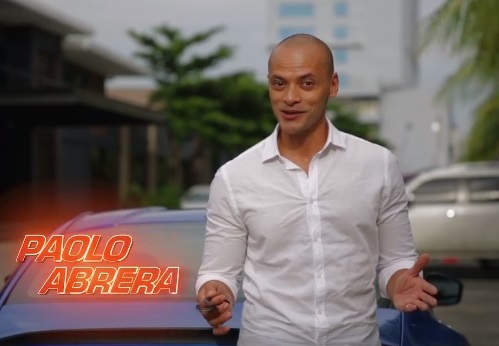 A new motoring show will be cruising soon on ANC, the ABS-CBN News Channel (ANC), offering viewers a fun ride into the unique and exciting world of the Philippine automotive industry. Paolo Abrera, one of the country’s top news and lifestyle anchors, will be at the driver seat of “Rev,” which will start airing weekly this Friday (October 27) at 8PM. “Rev” promises an honest take on the classic and latest rides, the latest auto news, and will provide motorists and automobile enthusiasts real expert guidance from showroom to the road and beyond. Set to join Paolo in the program are respected names in the auto circuit: multi-awarded race car driver JP Tuason and musician and car lover Manskee Nasciento. Set to join Paolo in the program are respected names in the auto circuit, such as multi-awarded race car driver JP Tuason to give tips on enhancing the driver’s skills in the segment “The Right Turn,” and musician and car lover Manskee Nasciento to share his know-how in proper care of vehicles in “Keep It Clean.” Paolo will also have a special co-host to be revealed soon who will provide expert advice on the best modifications that will give a vehicle a royal spin and make the car truly one of its kind. “Rev” will also feature car groups, celebrities, and industry leaders that will share their passion for cars and driving, and will showcase the best roads to drive in in the Philippines. Don’t miss the first voyage of “Rev,” starting this Friday (October 27) at 8 pm on ANC, your partner, your channel and ANC HD. Watch online via iwantv.com.ph or skyondemand.com.ph. For updates, visit news.abs-cbn.com/anc or follow @ANCalerts on Facebook and Twitter.